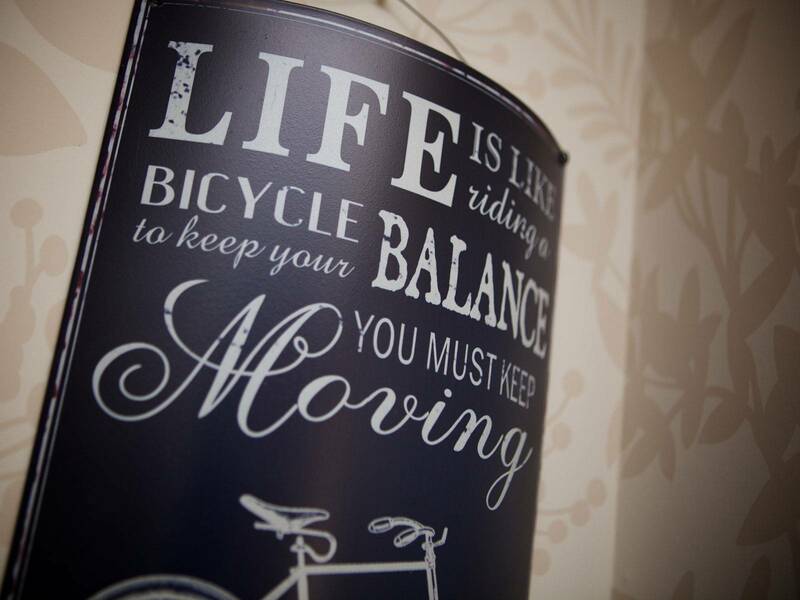 Our guests have enjoyed the welcome and hospitality at Glede Knowe since 2007. 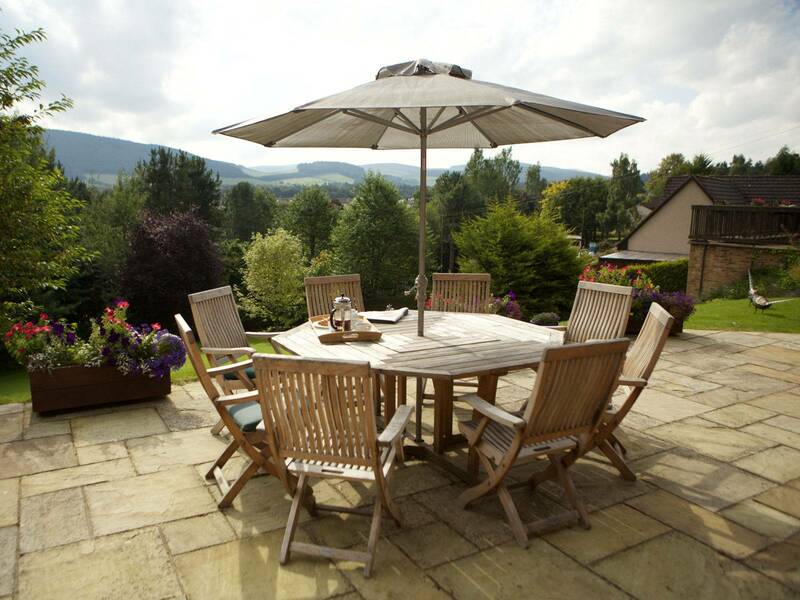 We offer excellent accommodation throughout a large, modern house set within an acre of gardens overlooking the beautiful Tweed Valley. Glede Knowe is named after a local hill or “knowe”. A “glede” is a bird of prey, many of which can be seen in the local area. There are seven spacious bedrooms, five of which have en-suite bathrooms and two have private bathrooms. 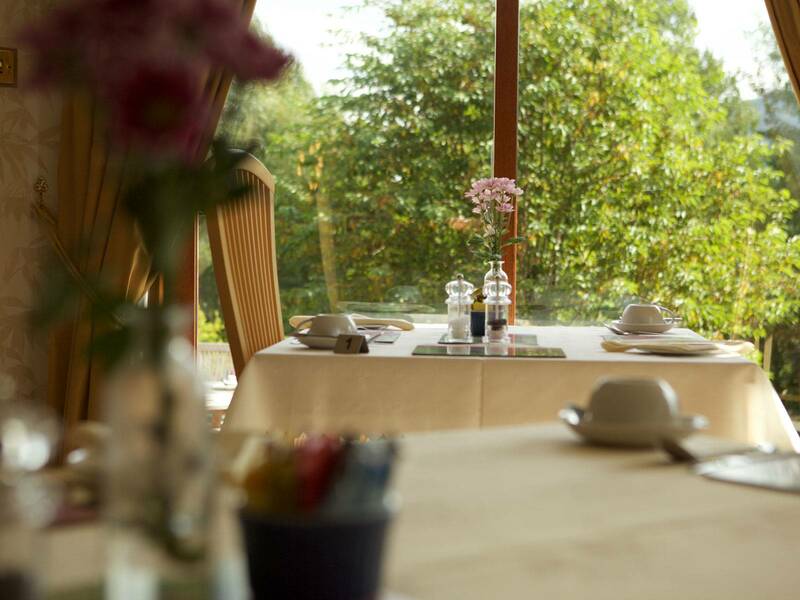 With flexible accommodation for up to 16 guests, Glede Knowe is an ideal venue for larger groups such as family parties or club outings. You are welcome to come and enjoy the comfortable breakfast room/lounge where you can relax and appreciate the views of the surrounding hills. 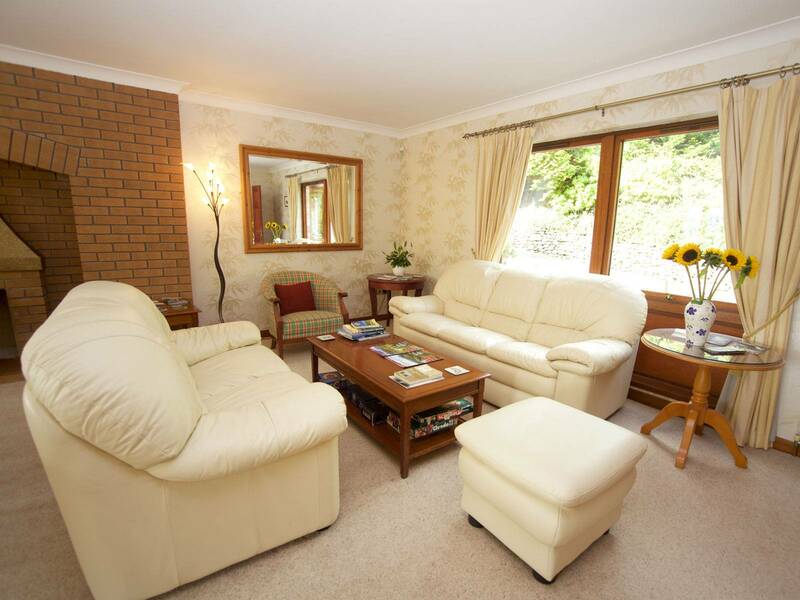 On sunny days the large, south facing patio area with its beautiful flower displays beckons. 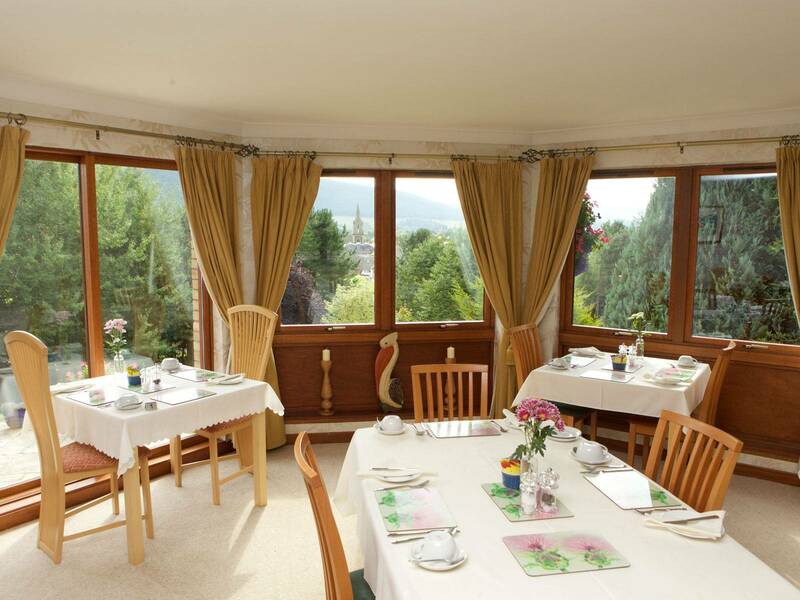 Glede Knowe enjoys a quiet, elevated situation overlooking the town of Innerleithen, but is only a short stroll from the local pubs, restaurants and cafes in the High Street. 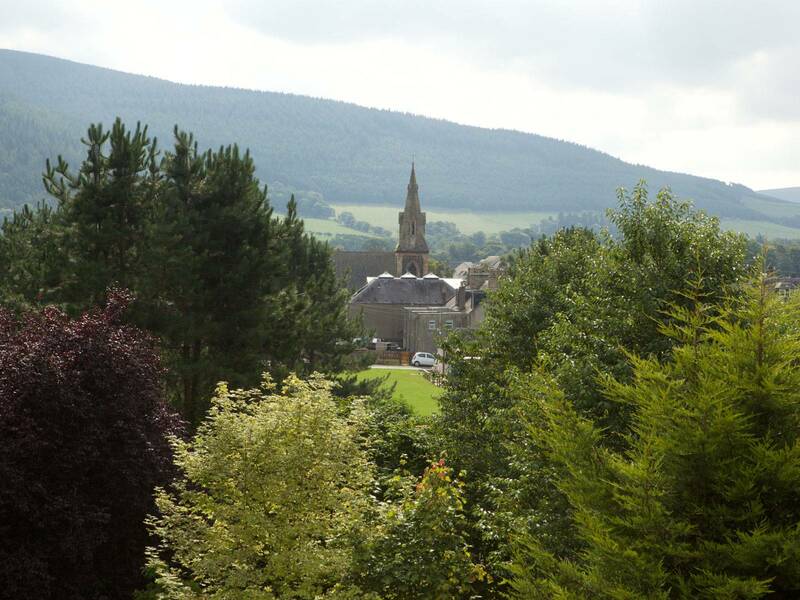 Innerleithen lies at the heart of the Tweed Valley and is renowned not only as a mountain biking centre but also for its local attractions such as Traquair House, Scotland’s oldest inhabited house and hunting lodge of the Stuart Kings, Robert Smail’s Printing Works, and St Ronan’s Well, a historic spa. Glede Knowe has ample off-street parking for guests. We welcome well behaved dogs (one per room) but please remember to bring your pet’s bedding and towels with you. 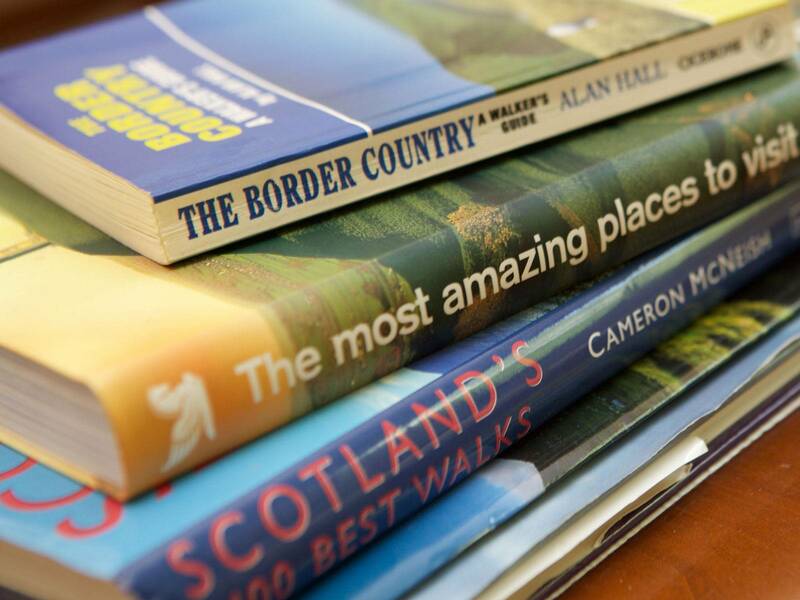 We are committed to providing Scottish produce, locally sourced in the Borders whenever possible. All our eggs are free range and our award-winning pork sausages are supplied by our local butcher. We tempt you with the world famous Stornoway black pudding, from the Isle of Lewis, Macsweens haggis and, of course, our delicious Scottish smoked salmon.